Chelsea will look to bounce back to winning ways in the Premier League after their a home defeat to Manchester City, a shocking away loss at Crystal Palace last weekend and a disappointing 3-3 draw against Roma in midweek's Champions League match. Watford have lost just one in eight league outings so far this term and have now taken 10 points from their last five Premier League games. Fancy any side to win the clash? 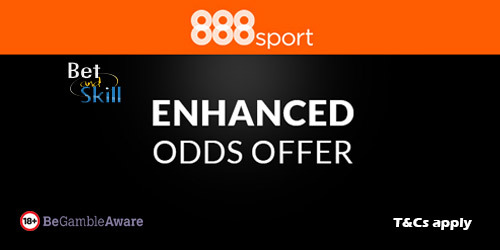 Choose your enhancement t at 888sport! 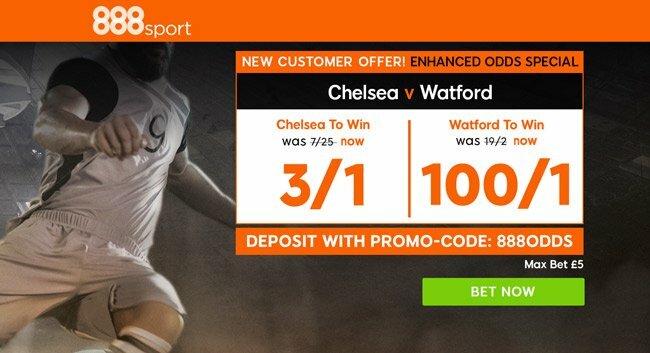 "Get 3/1 Chelsea or 100/1 Watford to win at 888sport (Promo Code: 888ODDS)"